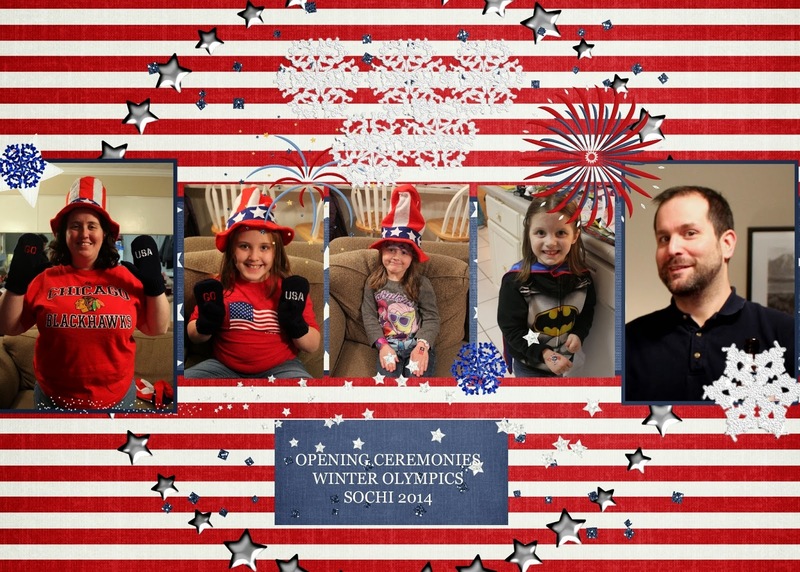 Last night, we had our Olympics party. It's now a tradition. We accidently started by ordering Chinese food for the Beijing Opening Ceremonies. Now it's become a party where open our minds and mouths and try new things. This year was no different as we got a little crazy at Babuska's Deli to try new Russian food for the Winter Olympics Opening Ceremonies in Sochi, Russia. THIS is How we do things for Russian Food Station! I'll give a try to list all the things we had, what they were, how they tasted, and how our Zakuski (hors d'oeuvres buffet). 1. Beef Stroganoff . We were going to make this main dish, but Noodles and Company makes such a yummy one, and we had coupons, we couldn't resist. 2. Pelmeni - little meat filled dumplings, these had chicken and beef, and the boys pan fried them. 3. Smoked Fish - I recognized smoked salmon, but there were a couple other kinds of fish, and they were stinky but so tasty! 8. Pastramy - it was described as a spicy beef pastrami, but Eric said it was just like Pstrami. 9. Russian Cheese - much like a mozzerella, but didn't say mozzerella. 10. Syrniki - fruit filled cheese pancakes, pan fried. They had a lot of flavors, I picked cherry. 14. Puff Cookie 'konvertik' -fruit filled popovers, these were plum filled. 18. Stoli Vodka - Of Course. Emily really loved the crackers, they were O shaped, perfect for the Olympics! Of course, Sam was a big fan of the cheese. Apparently, the Russians use sour cream with everything, much like we'd use ketchup or hot sauce. Emily gives caviar a try. AND she liked it! The guy suggested I use the bread, put some butter on it, and spread the caviar lightly on top of that. Christopher was Not a fan of the caviar. Not at all. The syrniki were cooked up for dessert, well, during the parade of nations. They weren't tremendously sweet, much like a simple pancake, but we girls liked them. We usually try something new in the way of alcohol. Kathleen and I tried the wine, while the boys sampled the beer. But my favorite was the "Salted Karamel Stoli" On the website, they suggested pairing it with apple juice for an appletini...rather scrumptious. Went down Smooth. The boys said the Baltiki 4 was good. But it tasted way too manly for me. The boys done their Festive garb to cheer on Team USA! I found the mittens at Target, but at 13$ a pair, I could only justify one, so we all shared. But now they're mine, I'll be wearing them for the next 2 1/2 weeks....maybe longer. The kids and I put on some temporary tattoos to support Team USA. Emily tried to entertain us by doing a magic trick, it didn't work out, but she certainly was entertaining. We had a pre-game show of Mario and Sonic's Olympic Winter Games, and we all kicked it on Bobsleigh! Then the Opening Ceremonies began, and really the big kids only stuck around. Chris and I had some running commentary on what people were wearing, but even they didn't have the patience for the whole thing. The kids were in and out, there were a lot of interruptions, I didn't hear most of the show. Sarah kept asking, "When is the show going to start?" This was the show. That was the sign that the kids were ready for bed. Sam wanted to spend the night. It was his first slumber party, and Mike read a special superhero story to the kids on their kindle fire to get them ready for bed. It was so sweet. Sam was out cold fast. He slept very well, but that is another story. Eventually, even Chris pooped out, and Daddy was already dozing off, so we sent the elder boys home about a half hour before it was over. They held in there though! 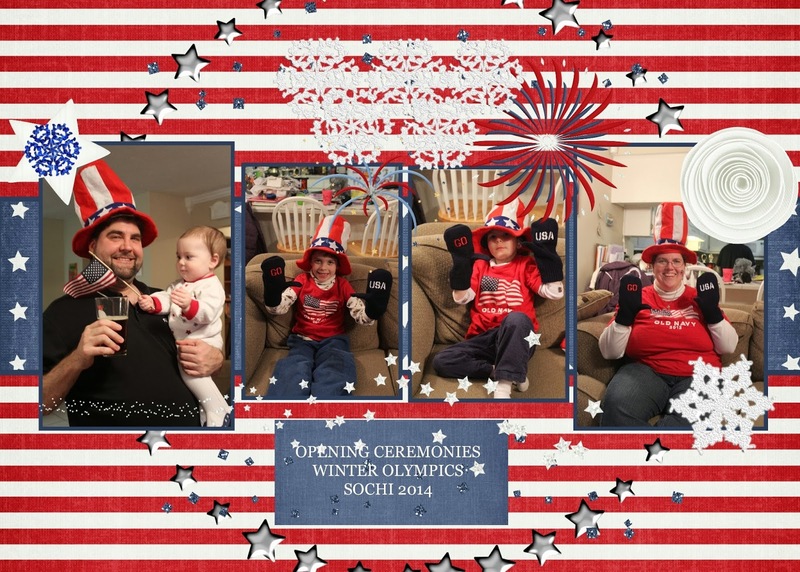 We had a great time, but Mommy is realizing that it's a good thing these opening ceremonies only come along every 2 years, these late nights are killer on me!